CAC’s commitment to safety is evident in its overall safety record. For the year of 2017, CAC has maintained a perfect record of 0 loss time accidents. 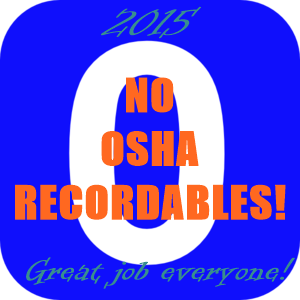 Total Recordable Incident Rates (TRIR) is a formula used to indicate or compare the safety performance of companies and industries. In the years 2008, 2009, 2010, 2011, 2012, 2015, 2016 & 2017, CAC, Inc. sustained no recordable incidents resulting in a perfect 0 rate.